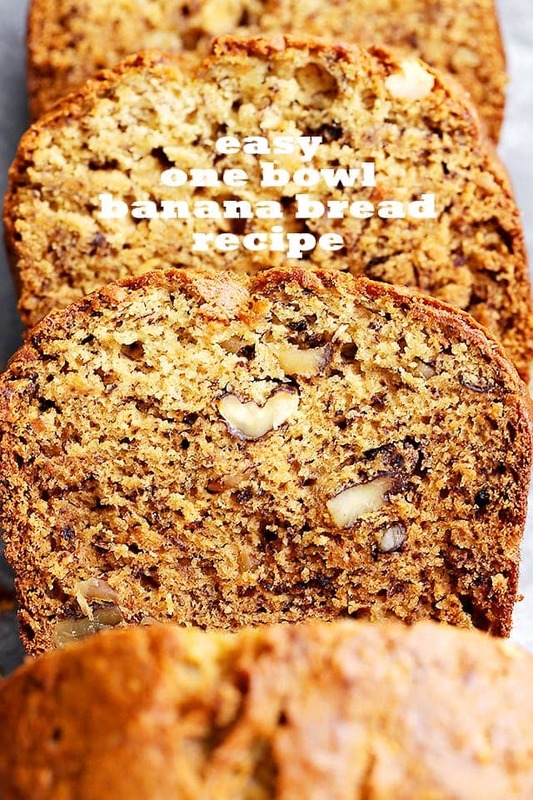 Easy One Bowl Banana Bread Recipe – Easy to make and lightened-up delicious banana bread recipe with crunchy pecans and loads of banana flavor. 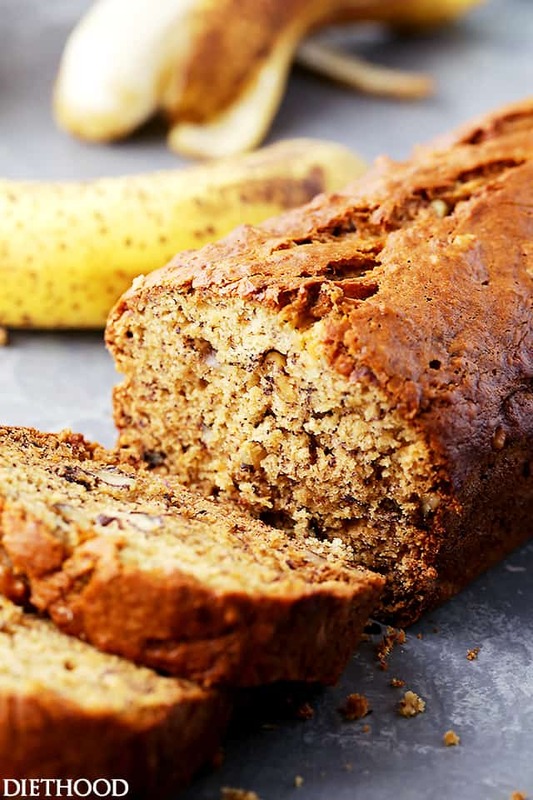 Not because I’m bananas about bananas, but because I’m bananas about banana bread. And nuts about nuts! Although, I have to be honest. On Mondays, I have the most energy. On Mondays, I feel like I can tackle every single one of those 1347 emails in my inbox. Of course, I also tell myself that I have until Friday to do that. So. Do you ever get something stuck in your head that you just HAVE to have? That you just have to make and inhale? This banana bread was that thing for me. But good news: those bananas I was hiding… I mashed ‘em up, added in some sugar and eggs and threw in some pecans, and Oh. My. Yumminess. Insane! The most perfectly soft-crusted outside, and cakey, moist inside. Makes for a lovely breakfast, coffee-partner or midnight snack, which happens to be my personal fave. While I was at it, I snapped some pics and decided to update this old post. Lord knows those photos needed a makeover. 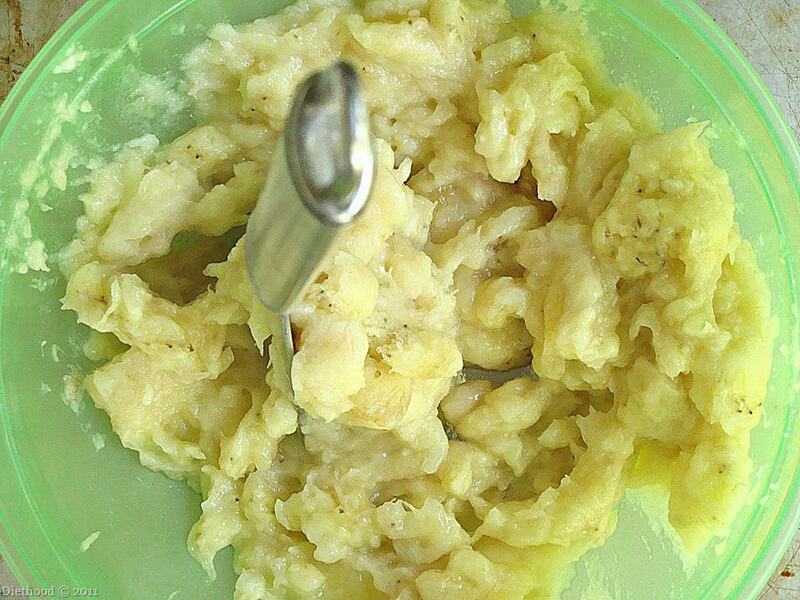 The fun news: this is actually a base banana bread recipe that I’ve used for years. It’s quick to prepare because it’s all done in one bowl, and it’s also easy to play around with it. 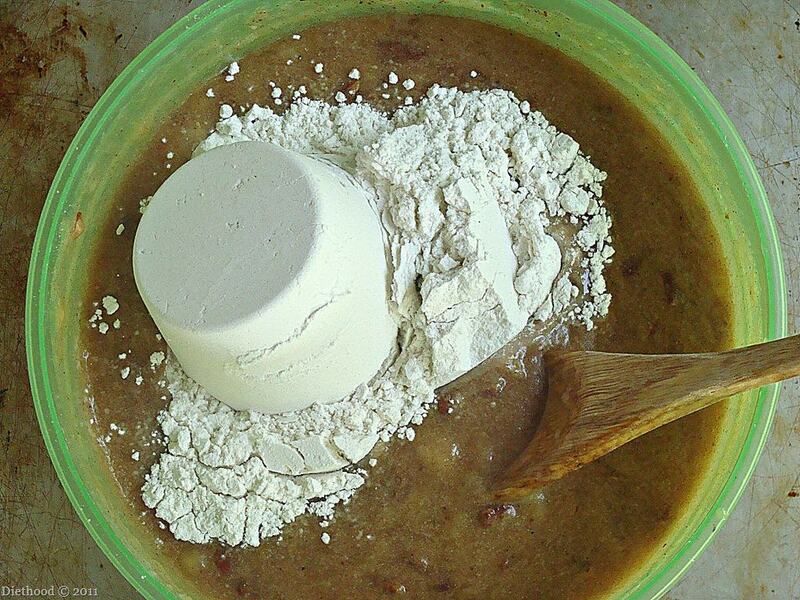 For instance, if you don’t like white whole wheat flour, use all-purpose flour. Don’t like pecans, throw in some walnuts. Or chocolate chips? Even better! Looking to replace the sugar with a sweetener? Go right ahead! I’ve done it all, and it all works perfectly. And don’t you want the biggest cup of coffee right now? With the biggest slice of this beauty?! Let’s do it. P.S. We have never polished off an entire loaf of banana bread within one day. This one didn’t make it to the next hour. 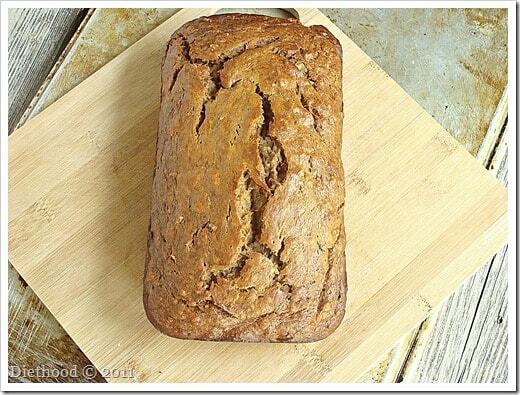 Easy to make, delicious banana bread recipe with crunchy pecans and loads of banana flavor. Line a 4×8 inch loaf pan with parchment paper and set aside. 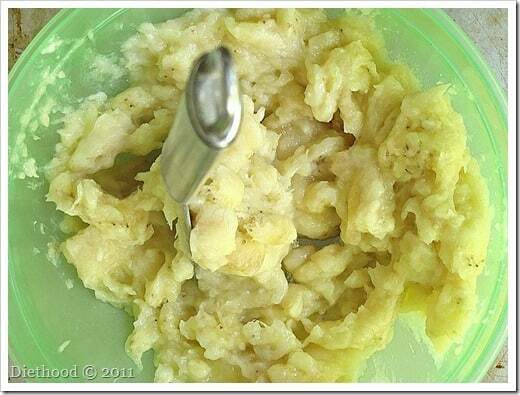 In a large mixing bowl, combine the mashed bananas and butter; using a wooden spoon, mix the melted butter into the mashed bananas until thoroughly combined. Stir in the sugar, egg, and vanilla. Sprinkle the baking soda and salt over the mixture and mix well. 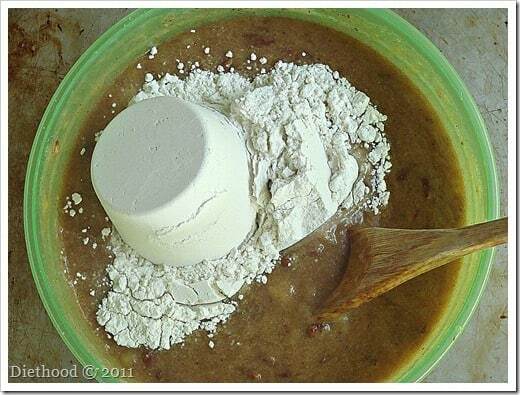 Add in the flour and carefully mix the batter. Pour the mixture into previously prepared loaf pan. Bake for 45 to 50 minutes, or until a toothpick inserted in the center comes out clean. This bread looks fabulous! 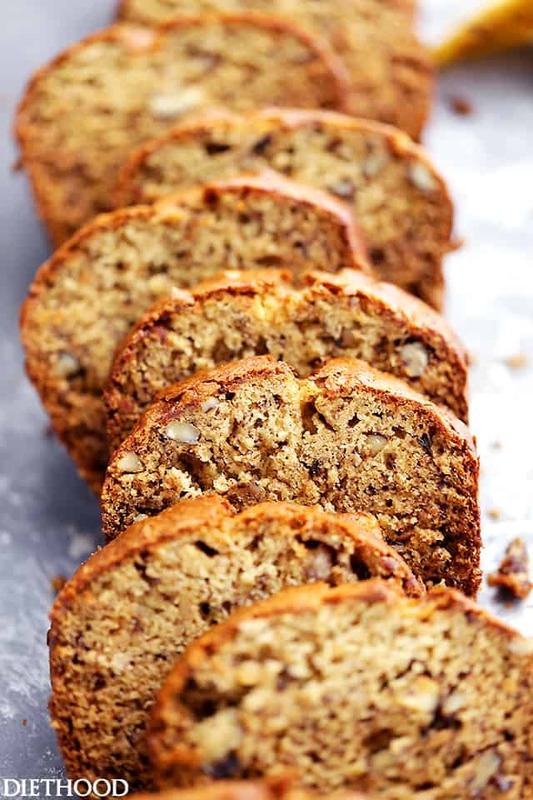 I love a good banana bread with nuts and this one is no exception. Love the use of the spiced nuts! Kate, I have a ton of spiced and sugared pecans left over from Christmas and I was wondering what in the world to do with them. Thanks for the amazing idea! Banana bread with a smear of cream cheese is always such a treat. Now adding pecans? Oh, yea! yeah i too love banana bread, and the recipe is outstanding i will try this. Looks like a wonderful banana bread. I’ll bookmark this one to low-carb it when I have time. Thank you so much! Gone in one hour? That sounds like something that would happen in my house. This looks so good and you made me want to make it now. 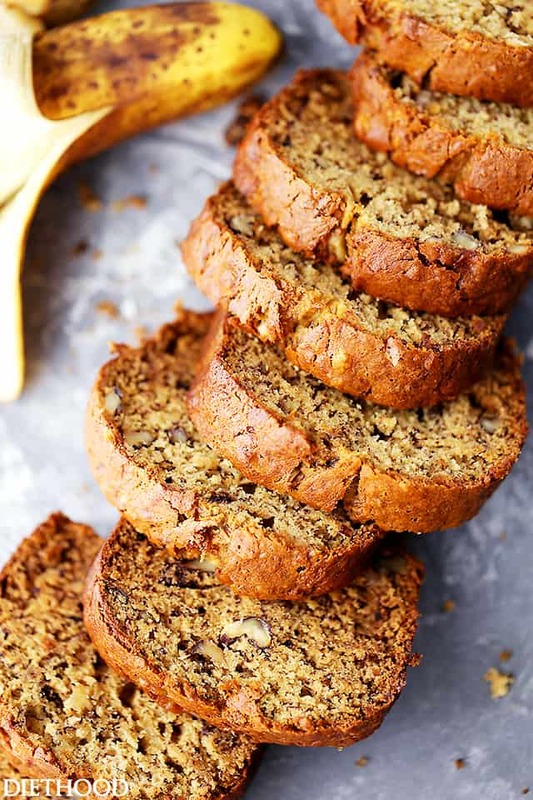 i love a good banana bread (i too have to hide bananas if I plan making some) and those spiced pecans sound like a great addition! Banana bread is magical isn’t it? And with nuts – heavenly. I can’t blame you and the family for polishing it off so quickly either! mmm this looks soooo good Kate! Great photos and awesome recipe!!!! Aren’t Amelia’s Spicing pecans great? Mike asked us to do some photography for them and when he sent us the product he ended having to send us another jar of the cinnamon ones because Adam ate almost all of them the day we received them. Great use of them in the banana bread, I’m sure it’s fabulous! Look at the color and the shape of the bread!! 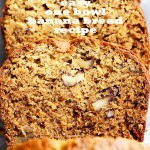 I loves banana bread fr breakfast, it’s good with a cup of coffe, don’t u agree? Thanks again Katrina for posting your wonderful Banana Bread with my, er, Amelia’s Spicing Pecans. You took one of the most popular ideas for the cinnamon pecans that I have heard people remark; “Hey this would be great with … banana nut bread”, and made it extraordinary. Thanks again. Plus, I would like to offer anyone of your readers an opportunity to sample these for themselves. If they’d like to write me at spicingpecans at gmail dot com, I will be glad to send them one of my small business card samples. Of course if they just want to get some for the holidays … they can their choice between (the phantom) Herb, Hot, Cinnamon, or Coffee flavors … and if they mention Diethood I’ll give them $2 off each/every jar. Thanks again Kate … You’re awesome! oooh, love the pecans in the banana bread! In this house, it’s hard to make anything with bananas, as they get eaten so quickly. I don’t blame you for hiding them! Oh those spiced pecans sound so good! I’d probably have finished all off mindless snacking too. This bread looks absolutely perfect! What great nuts! Gorgeous! I’m not sure I would be able to keep my hands out of those jars either 🙂 Love this recipe! I’ve been so pumpkin obsessed that I forgot about this comfort food staple and with a twist no less! YUM! 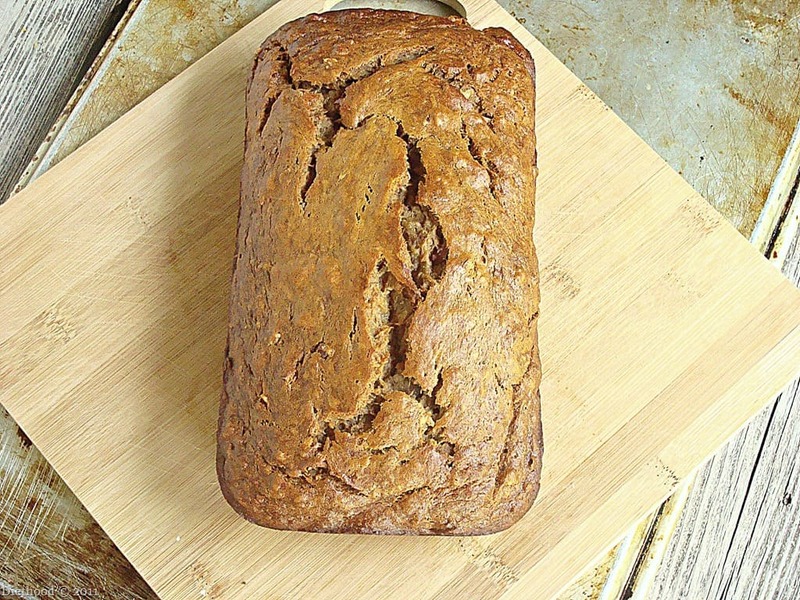 This banana bread sounds delicious with the spiced pecans! I always use walnuts but I like this version! Looks great! I love the idea of using spiced nuts. They bread is stunning and to receive spiced pecans….awesome! Oh the spiced nuts in here sound totally good!! I wish I could eat pecans… Awesome job Kate! I love banana bread and pecans and cinnamon, so I’d definitely be bananas about that banana bread ;). This bread looks beautiful! Those pecans look amazing too! Mmmm! I love cinnamon, so the cinnamon spiced pecans in banana bread would be heaven! I love the smell of bread baking. Great recipe. Major deliciousness, Kate 🙂 I’m a huge fan of banana nut bread and these cinnamon-spiced pecans are definitely a good thing! I adore banana bread too! I’m hoping some bananas overripen while I’m away this weekend so that I can make peanut butter banana bread when I return! You know how we feel about our banana bread! We’ve left the nuts out of our loaves on the quest, but I do think that this would be delicious. In fact, you gave me a great idea – I can use my candied pecans after the holidays in a banana bread. Thanks Kate! Ha-I can completely understand how the herb nuts disappeared as well as the bread! Sometimes it is hard to save things for baking, but I am glad you spared the cinnamon pecans for this bread. Banana bread is something I never refuse and I can put away some sweet pecan bread if I am not careful…but this? This maybe the beginning of an addiction…yum! Sounds wonderful Kate! Oh, to get my hands on a jar of those hot & spicy pecans. YUM! The things I could do!!! Excuse me while I drool… over the nuts AND the bread. Oh those pecans look heavenly! Great recipe!! I LOVE banana bread! I can only imagine it with spiced pecans!! I wanna do some mindless snacking on this whole loaf!